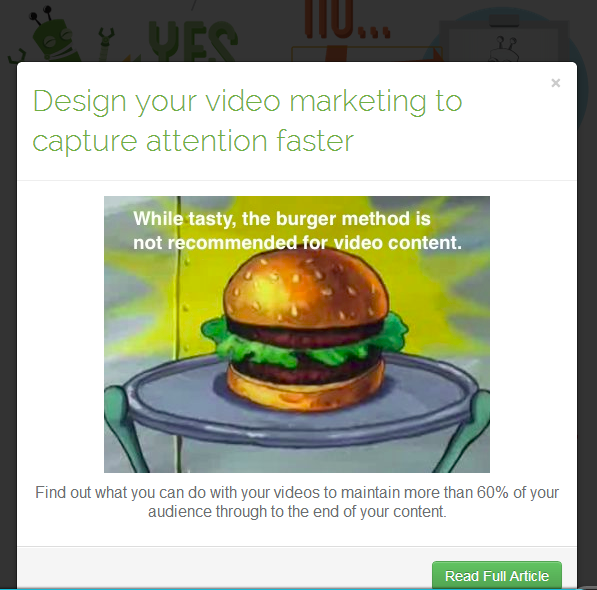 Are You Getting The Most Out of Your Video Content? The popularity and variety of video platforms provides a prime opportunity to reach a large number of people and leave a lasting impression. But, what’s the secret sauce or winning formula for successful video content? There’s no shortage of content, opinions and tips on this subject. Google, “how to get the most out of your video content,” and over 3 billion links pop up in a mere 40 seconds. That’s enough to make any marketer go arghhhhhh! Which is precisely why this interactive flowchart below from Vidyard is equal parts awesome and helpful. 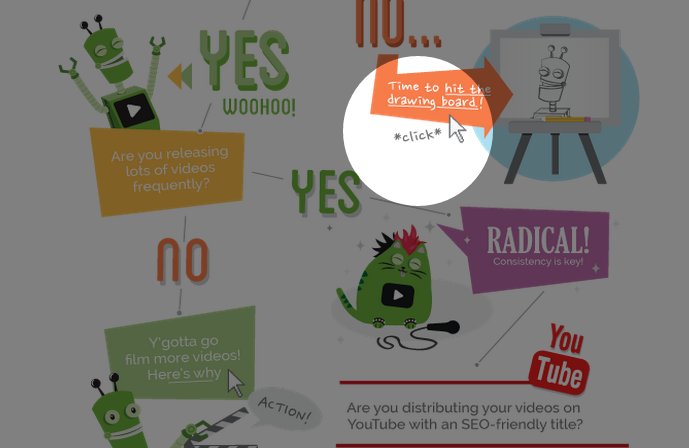 Vidyard, a video marketing platform, created the flowchart as a way to help companies and individuals make videos that are more compelling, fun, informative, and intriguing. With a designated starting point, the viewer is prompted with both a yes and no question. From there, the viewer is taken on a visual journey based on their individual needs. Like any good journey, there are enjoyable stops along the way where supplemental content is served up. Visual “pit stops” serve up supplemental information. A visual pop-up then opens in a new window, allowing viewer to easily return to the flowchart. To fully experience the flowchart, click here. 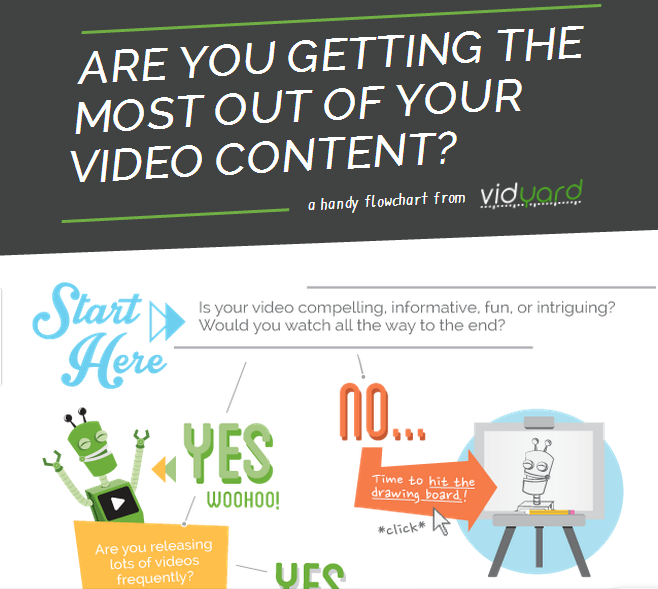 Thought Leadership – The interactive flowchart does an excellent job of conveying Vidyard’s knowledge and expertise on video marketing. It’s jam-packed with information and showcases the company’s value proposition across the video marketing spectrum (content, SEO, measurement). User-Experience – Take note of the tone and user-experience in Vidyard’s flowchart. Everything about the content and experience has been crafted with the end user in mind. It’s fun, informative and unpretentious. It comes off more like the rockin’ flowchart your super cool friend made rather than a company trying to sell its services. Linking = Deeper Engagement – There are ten different places in Vidyard’s flowchart where supplemental information is served up via a link. 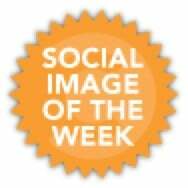 Visit them and they’re a mix of company hosted blog/website content and guest posts on reputable marketing sites. This practice not only further reinforces subject matter expertise, but it pulls the reader farther down the rabbit hole to immerse themselves in company generated content and offerings. Measure and Supplement – Measuring the success of this flowchart, plus referral traffic to the embedded links will serve up valuable insight into popular content subtopics under the broad subject of video content. Results could inspire future blog posts, flowcharts, eBooks, infographics, and more.